Terri is a quality-minded, results-oriented professional with 20-plus years of experience in strategic development and direct fundraising. Her experiences include fundraising for both small local and large national organizations through personal solicitation and corporate partnerships. 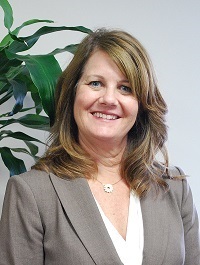 Terri has been with St. Joseph's Foundation and Barrow Neurological Foundation for five years. Prior to joining the Dignity family, she operated her own political consulting business with clients from multiple states including Arizona, Illinois, Georgia and Washington, D.C. She is an experienced leader with a proven ability to secure major gifts and implement multi-million dollar fundraising strategies. Terri is an Arizona native and graduated from Arizona State University.